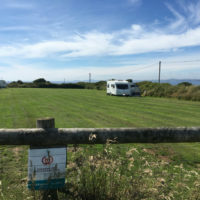 Shortlands Farm offers Caravan Club members a peaceful Certificated Location with beautiful North Pembrokeshire sea views. 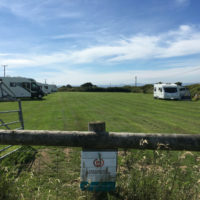 The Caravan & Motorhome Club Certificated Location has been operating at Shortlands Farm for over 25 years. 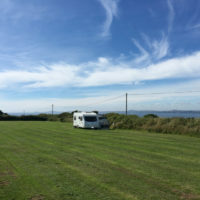 We have welcomed adult members and their families who have been visiting the farm since they were children themselves. 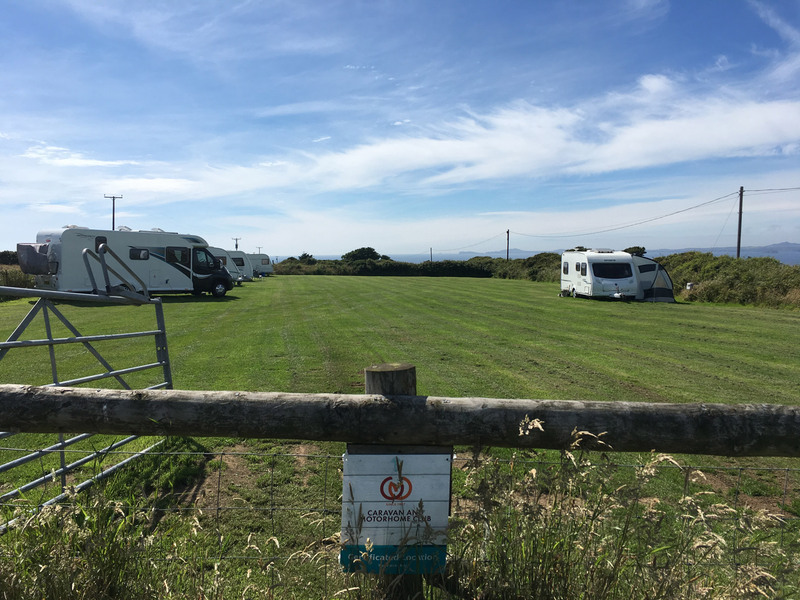 A combination of the peaceful location, the stunning sea views and easy access to the beaches and coast path keep visitors returning year after year. Shortlands Farm is accessed down a single lane unmade track – which our predecessors nicknamed Bumpy Lane! 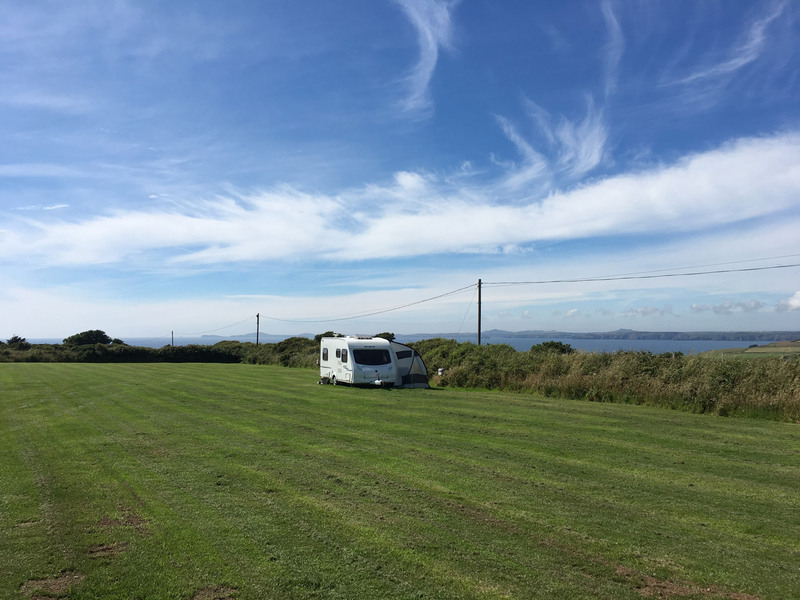 – however the journey is worth it once you arrive and are faced with the uninterrupted sea views over beautiful St Brides Bay. 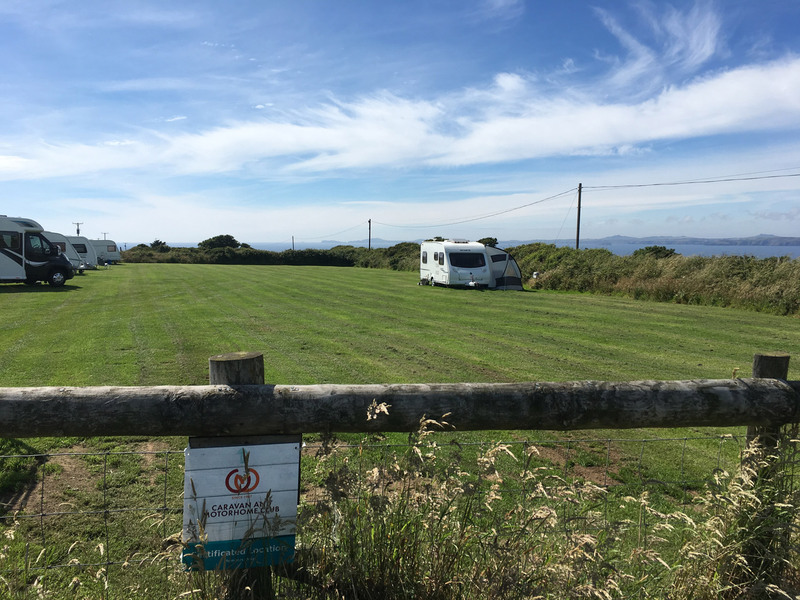 The grassy field is level (there is no hardstanding) and allows each guest plenty of room to spread out and have ample space of their own. 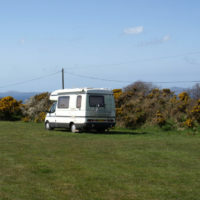 Electric hook-up (approx. 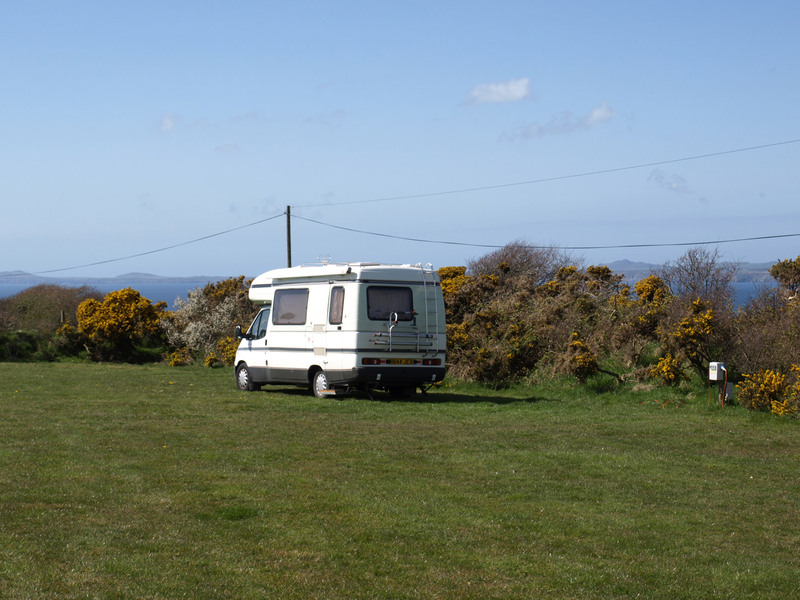 10 amp) and bathroom facilities are all included in the cost per night. We welcome children and well-behaved dogs.